The Checkered Lily signature arrangement. Beautiful blush roses with tulips, scabiosa, ranunculus, stock, and eucalyptus all can be found with our special checkered lily when in season. 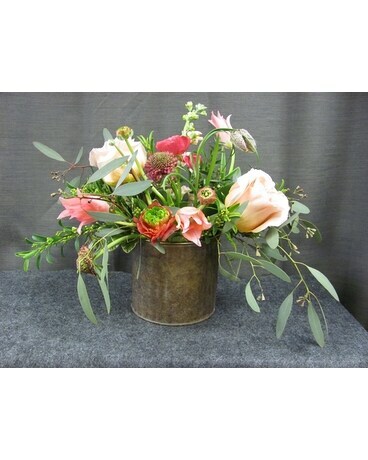 We will make variations of this throughout the year featuring the fun seasonally available flowers and bulbs. Let us design this for you today.